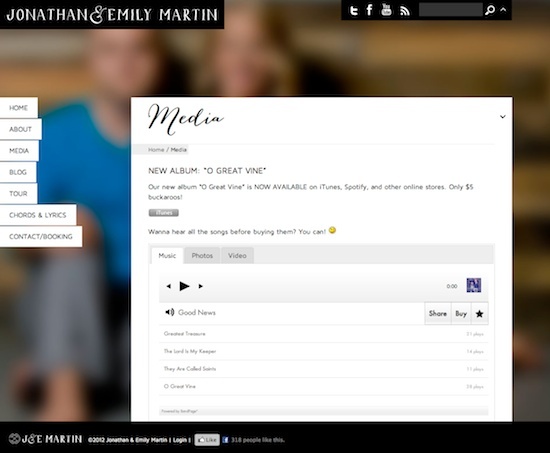 The site for Jonathan and Emily Martin (songwriters & singers) was based on the Delight Fullscreen Portfolio Theme from pixedelic. Jonathan’s word during the project was “simple”. I suggested Jonathan check out BandPage and he decided, via SoundCloud, to publish their music, photos, and tour dates with the service. 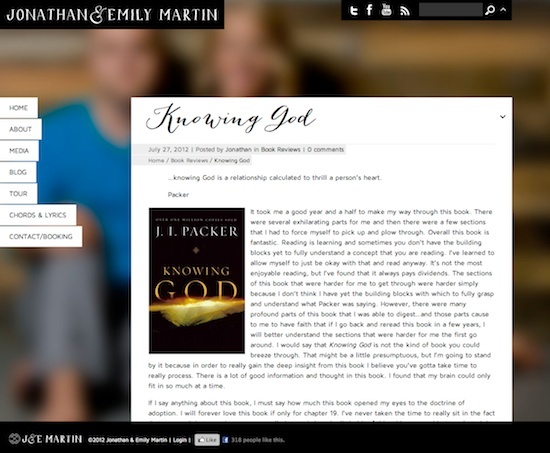 RefTagger was integrated for an easy viewing of a Bible passage for the blog, and social integration brought @jontaymartin in via Twitter’s newer widget and “Likes” for their Facebook Page, too. 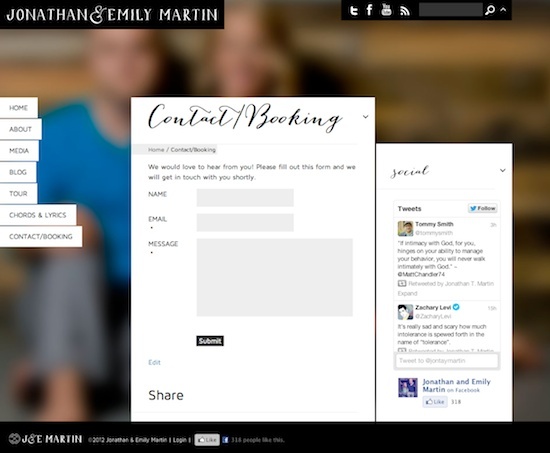 The logo was designed by Holly Maher and I adapted it for the web and use elsewhere. The project was completed in October 2012. 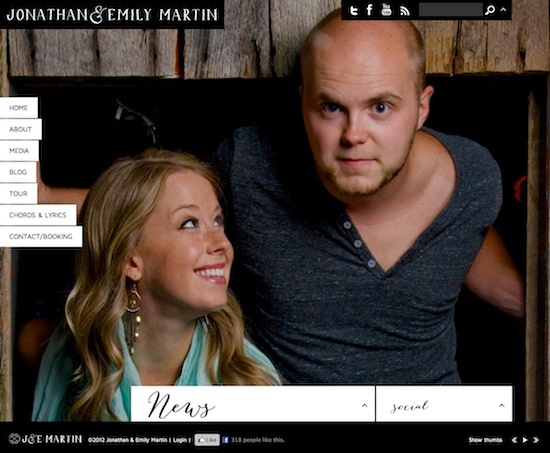 As a married duo, Jonathan and Emily’s heart in music and ministry is to write biblically-based worship songs. 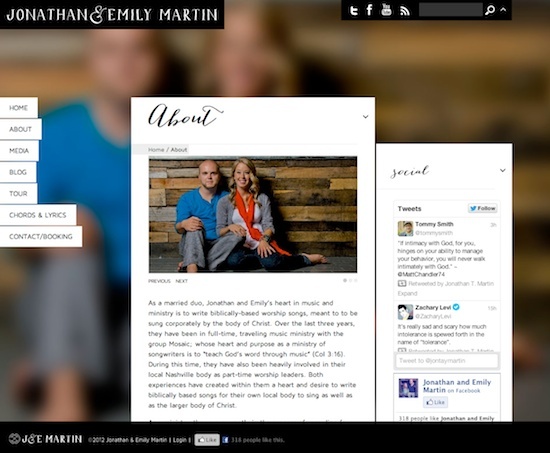 Adopting the phrase, “the Word in worship”, Jonathan and Emily believe that the Word of God fuels both corporate and personal worship of God.